If all these schemes, plans and initiatives including recommendations made in the studies are properly implemented elsewhere, they will surely help improve farmers, groundwater, environment, not Ease of Doing Business. Sardar Sarovar Dam What stops Gujarat from releasing this water (1500 cusecs) from the dam, for the downstream river? Before this, Gujarat government on January 22 has assured that there won’t be any shortage of drinking water in the state this summer due to the Narmada crisis as the state is mostly dependent on the river for their water needs. Going to be worst year: Chief Secretary J N Singh:- Contrary to state government “no shortage” claim the rural local bodies have been asked to tap “supplementary sources” of drinking water as summer approaches. “There is less water in the entire Narmada basin. Overall this is one of the worst years… Unfortunately, it will cause discomfort to everyone in Gujarat, which is heavily dependent on Narmada water,” said Chief Secretary J N Singh. For making adequate quota of drinking water available, Singh said the state government will explore the possibility of getting water from Kadana dam in Mahisagar district and French wells. Municipal corporations, he said, have been asked to tap traditional sources of water and underground water. How Govt is going to distribute 4.71 MAF:- According to Sardar Sarovar Narmada Nigam Limited (SSNNL) officials, Gujarat is expected to get only 4.71 MAF water from Narmada in 2017-18 — almost half of 9.34 MAF it got in 2016-17. SSNNL’s Chairman and Managing Director S S Rathore, who was present at the briefing, said that for industries, the usage has been limited to 0.06 MAF against 0.2 MAF. While 1.29 MAF is being given for drinking purposes, the remaining 3.36 MAF will go to agriculture, he added. SSNNL officials said industries have been informed about the cut. 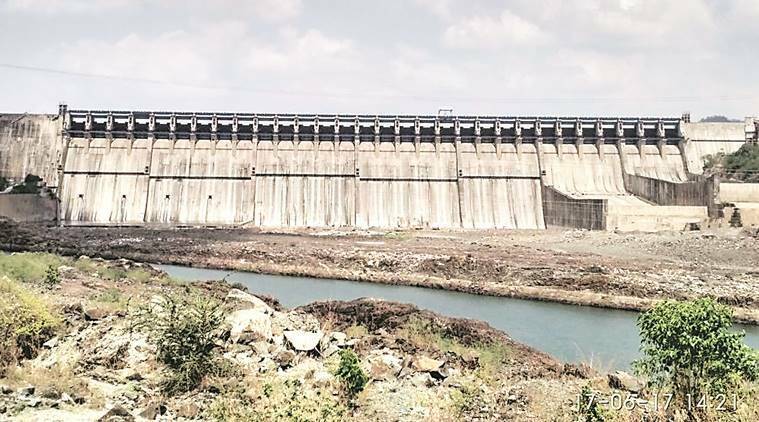 No impact on farming, Sabarmati diversion minuscule: SSNNL’s Chairman and Managing Director S S Rathore The state government has already declared that it will not be able to provide Narmada water for irrigation after March 15. The Chief Secretary also warned farmers against “unauthorised lifting of water” from Narmada canals. Rathore, however, said the shortage of Narmada water will have “nil” impact on agriculture and industrial production. “It will have nil effect. We have given enough water for Kharif and Rabi seasons,” he said. Asked if Narmada water was wasted by diverting it to Sabarmati Riverfront project in Ahmedabad and during inauguration ceremonies of multiple Sauni projects in Saurashtra, leading to the current crisis, Singh said “water flowing into Sabarmati is very minuscule”. – Speaking at the conference, the Union Minister for State Arjun Ram Meghwal stressed the need to build larger dams in India for increasing river water storage capacity to meet demands of population growth, economic growth and sustainable development. – It is worth to state that the Minister does not even mention the water storage options and is just saying what CWC and MWR guys are telling him. – Central Water Commission Chairman S Masood Husain said the current six-year DRIP programme launched in 2012 at an estimated cost of Rs 2,100 crore was for rehabilitating 223 dams in seven states. “However, the first phase was extended for two years until 2020 to finish all of the programmed rehabilitation works with a revised estimate of Rs 3,466 crore,” he said. Ken Betwa New Promise by Gadkari He says that foundation stone to be laid by PM in Two months (i.e. by March 24) in Budelkhand. All decks are cleared! – 90% of money to come from centre. – His figures of irrigating 21 lakh acres is of course wrong as are most other facts here. -Its termed as new, but I do not find anything much new here. While talking about rejuvenation of river and ensuring flow, the word environment flow does not figure here. – It talks about catchment approach, but mentions only five states, when Ganga catchment includes eleven, besides Nepal, China and Bangaldesh. Talking of sewage treatment, the word governance does not figure here. – If rivers are to be rejuvenated through catchment approach, the water users would need regulated, including agriculture, Cities, Industries and also villages, and also groundwater. – There is no mention of any attempt to learn lessons for past failures. – The meeting only had bureaucrats, and FRI Director, no one else, going by the PR. Karnataka Pollution of urban rivers in Mangaluru The unabated discharge of untreated domestic and industrial sewage has not only severely polluted the Phalguni (Gurupura) and the Netravathi, which surround Mangaluru, but also affected groundwater quality in the city, allege environmentalists and social activists. – Low levels of oxygen in Phalguni river had resulted in the death of several fish last summer, and the National Environment Care Foundation, Mangaluru, says a graver situation has arisen even before the summer this time around. – Very little of domestic sewage is treated and used for industrial purposes as the entire infrastructure created using Asian Development Bank funds under Karnataka Urban Development and Coastal Environment project has crumbled, Shashidhar Shetty, general secretary of the foundation told The Hindu. – Narmada Jayanti is observed annually on Shukla Paksha Saptami in Magha month according to Hindu lunar calendar. On this day devotees worship river Narmada. – A large number of devotees who had come from across the state to offer prayers at Zadeshwar on the occasion of Narmada Jayanti, got stuck in the middle of river due to low water level on Wednesday. Some had to walk through knee-deep muck to reach the shore. According to another news report, villagers have demanded action against the company run by Baba Ramdev from the Pollution Control Board. 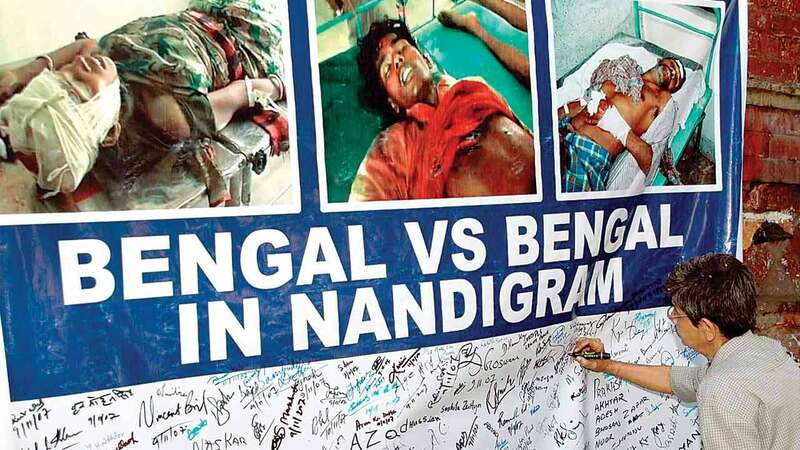 They further said that they have sent a letter to the Prime Minister’s Office (PMO). Two villagers led by a social activist Sanjay Pal from Khanjarpur Roorkee said during the Press conference that such water is being released from the factory for over ten years, leaving the revered Ganga polluted and posing grave health hazards for the villagers living near it. “It is a height of hypocrisy that on one hand, the Yoga Guru is pontificating on a pollution- free Ganga and, on the other, the company he runs is polluting the holy river through the discharge of the untreated water in her,” said one of the villagers. 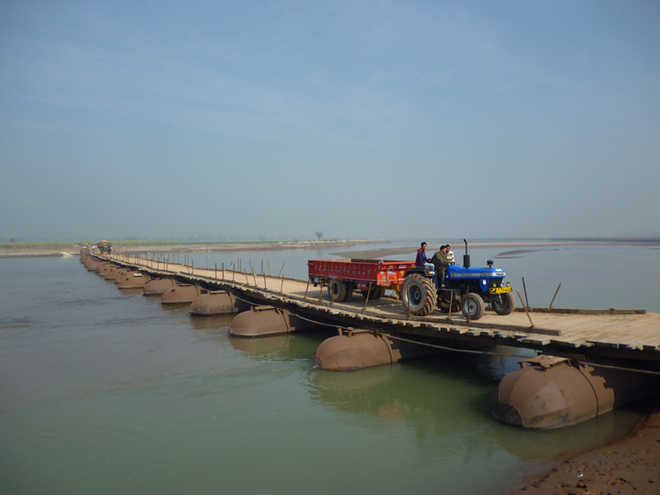 Villager Rajbeer Chauhan said that the water released from the factory flows through covered drain stretching around 1.5 km which passes through some villages before it flows into the Ganga. In a different development regarding rafting and camping along Rishikesh stretch of Ganga, a few camp operators have moved a petition in the Supreme Court challenging the NGT order. Meanwhile, a Delhi Assembly committee last week found that a number of drains at Najafgarh — where three projects are to come up as a part of a plan by the NGT — have “no remaining water flow” to clean up. The Assembly’s Estimates Committee has been probing alleged irregularities amounting to Rs 776.7 crore in three Delhi Jal Board projects — a charge the DJB has denied. Meanwhile a news plan of 13-km-long elevated corridor along Yamuna may have adverse impacts on already over stressed Yamuna floodplain. – The government has given the green signal after going through the pre-feasibility study. – The AAP government has estimated the project to cost Rs 2,200 crore and is looking at implementing it on a public-private partnership model. – The PWD will soon appoint a consultant to undertake a feasibility study and come up with a detailed project report. – As per the plan, the elevated corridor would be constructed from Signature Bridge till Salimgarh Bypass (Ring Road bypass) where it will merge. This would be the first phase. – In the second phase of the project, the elevated road would be extended to the Delhi-Noida-Delhi (DND) Flyway and Kalindi Kunj bypass. – The corridor will come up along the existing Outer Ring Road near Majnu Ka Tila and the Ring Road near Sarai Kale Khan. The officials said that after the feasibility study, the report will be submitted to Unified Traffic and Transportation Infrastructure (Planning & Engineering) Centre and other agencies for approval. Tenders for hiring the consultant will be floated by the end of this month. Hyderabad 2999 water bodies disappeared in 10 year – Urban sprawl has caused 2,999 water bodies to disappear in the city between 2005 and 2016. From 5,011 water bodies in 2005, the number plunged to 2,012 in 2016 —that means a whopping 60 per cent of water bodies have disappeared in the last ten years. Maharashtra Pune’s Pashan lake: Threatened by urbanisation, doomed by restoration Pashan lake with 130 acres area, 40 sq km catchment of Ram Nadi, is suffering the twin problems of impacts of urbanisation and wrong restoration efforts. It is one of the oldest man made water storage structure of India? – A restoration plan was made by the Pune Municipal Corporation (PMC) in collaboration with Naik Environment Research Institute (NERIL), Pune in 2008 under the Jawaharlal Nehru National Urban Renewal Mission (JNNURM). The Rs 16.6-crore restoration work was completed by 2013. Op-Ed From Plate to Plough: How to help the farmer by Ashok Gulati , Siraj Hussain Telangana model seems better than MP or Haryana one: “In contrast to these programmes is the government of Telangana’s input support scheme. Announced in the second week of January, the scheme’s objective is to relieve farmers from taking loans from moneylenders by giving them Rs 4,000 per acre for the kharif and rabi seasons. It is envisaged that the farmer will use this money for purchase of inputs ranging from seeds to fertilisers to machinery and hired labour. The area eligible for investment support is 14.21 million acre — the government’s annual bill for the project, thus, comes to around Rs 5,685 crore. Not a hot idea: Giving incentives for creation of capacity is seen as anachronistic, as it could encourage distribution companies to compromise on quality. As per another news report, the Narendra Modi government has quietly downscaled its targets for financial year 2017-18 to only 1,000 MW of capacity. While the target was 5,000 MW till as recently as Dec. 21, 2017, the capacity progress report made available in January shows the scaled-down figure. Meanwhile, Union Ministry of New and Renewable Energy Sources has invited comments on “Economic Rate of Return for various Renewable Energy Technologies”. The comments are to be sent to “Shri Dipesh Pherwani, Scientist-B, Ministry of New and Renewable Energy (Email: dipesh.mnre@gov.in) latest by 15 February 2018”. In the last six years, hydropower debt quadrupled to Nu 123.85B currently from Nu 31.45B in 2010-11. This has happened despite the liquidation of Chukha and Kurichhu loans. The Nu 123.85B outstanding hydropower debt, as of June 2017, forms more than 76 percent of external debt liability and 83.30 percent of GDP, according to the Royal Monetary Authority’s (RMA) annual report. – OUTSTANDING LOANS: In the fiscal year 2016-17, hydropower debt service stood at Nu 3.07B. As of June last year, outstanding loan for Basochhu is Nu 1.7B. A loan of about Nu 2B remains for Tala while Dagachhu has an outstanding loan of Nu 9.17B. – A large share of external debt is linked to hydropower loans from GoI, covering both financial and construction risks. India also buys surplus electricity output at price reflecting cost plus a 15 percent net return. – DAGACHHU was commissioned in 2015. Chukha, Kurichhu (loan liquidated in 2016), Basochhu and Tala are the other existing HEPs in Bhutan. 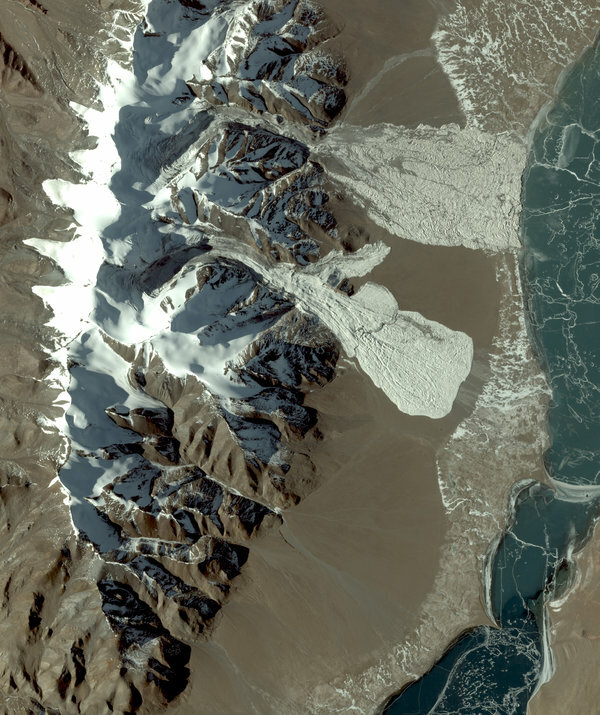 – PUNATSHANGCHHU I: The completion date for the Punatshangchhu I project has been revised from July 2019 to July 2022, because of the geological surprises at the dam site. The revised completion cost is Nu 93.7B against the DPR cost of around Nu 35B at 2006 price level. According to the progress report 82.9 percent of the works are completed as of June 2017. Fund disbursement of Nu more than Nu 72B has already been made in form of grant and loan towards the project. – PUNATSHANGCHHU II: A total amount Nu 49.54B (Nu 35.9B loan and Nu 13.5 grant) has been disbursed for Punatshangchhu II, until June 2017. While the DPR cost of the project at 2009 prices is Nu 37.7B, the revised cost at 2015 price level is Nu 72.9B. The completion date for the project has also extended from December 2017 to June 2019. The progress, as of June 2017 is about 72 percent of the total works and it has about Nu 35.9B loan outstanding. – MANGDECHHU: Mangdechhu project has an outstanding loan of Nu 29.2B, as of June 2017. An amount of Nu 29.2 in loan and Nu 10.9B has already been disbursed for the project, taking the total disbursement to Nu 40.1B. While the DPR completion date was September 2017, it has been revised to June 2018. A year before the revised completion date, the project has already completed 90 percent of the works. As per another news source, since FY11, Bhutan debt related to hydro significantly increased. During Fiscal Year 2017 (FY17), the country marginally reduced its hydropower-related debt by about US$48.3 million. – In FY16, hydropower was Bhutan’s largest export, accounting for 32.4% of the country’s total exports and 8% of its gross domestic product (GDP). – With a 22.42% increase in exporting electricity and reducing its imports for construction material to build hydro facilities, Bhutan’s trade deficit with India – its largest power purchaser – improved $81.6 million from $464.6 million to about $383 million in FY17. China’s information blockade triggers Sutlej fears It’s been a year since China shared information on the flow of the Pareechu, a tributary of the Sutlej originating from the Tibetan Autonomous Region, raising concerns in the Central Water Commission which has sought the external affairs ministry’s help to assess the river’s hydrology. Issues about Oroville, USA’s tallest dam: “Even as workers built the dam, they were raising alarms about the eroded, crumbling rock on which they were directed to lay concrete for the 3,000-foot-long main flood control spillway. – Construction reports from the fall of 1966 showed an abundance of loose clay, “shot rock” and “very little solid rock.” The surface was so crumbly, according to a state engineer overseeing the work, that a laborer at one point refused to do any more prep work until he got clearance from his boss. The contractor told the California Department of Water Resources it needed to dig deeper to find stronger rock. – the forensic team hired by DWR to investigate the Oroville emergency found that the main spillway was designed by an inexperienced engineer, plagued by a woefully inadequate drainage system and poorly maintained in the years that followed its 1968 completion. – A study conducted in 1948, when the site was being scouted for dam construction, showed multiple instances of weathering to the amphibolite, greenstone and ophiolite rock. Three follow-up reports conducted between 1962 and 1965 also spoke to the uneven foundation quality. MoEF Panel formed to tackle climate change A joint-working group of all scientific ministries has been formed to tackle issues such as air pollution, climate change and solid waste management. – Union Minister Dr Harsh Vardhan is currently in-charge of all scientific ministries and he chaired a meeting with officials from the concerned departments on Jan. 22. The joint-working group, comprising of top officials of environment ministry, earth sciences ministry and ministry of science and technology, will meet every month and the minister will chair a meeting every quarter. – The department of scientific and industrial research, department of biotechnology and department of scientific and industrial research under the ministry of science and technology will also be a part of this working group. Report Faster, Bigger Avalanches, Triggered by Climate Change Little known impact of climate change that can bring disasters also for Indian Himalayas. – There are two kinds of mountain glaciers: flat and steep. When a flat glacier collapses, it can move a lot of snow and ice, but in slow motion. These “surges” can last weeks and even years, but move no more than a few hundred feet a day. – Steep glaciers appear perilously affixed to mountain walls, and when they do collapse they create avalanches with speeds up to 250 m.p.h. Those avalanches may imperil mountain climbers, but over all they don’t move as much snow and ice. – In Tibet, however, researchers saw a frightening hybrid of the two. “It was a flat glacier, but it produced speeds of up to 300 kilometers per hour,” or 186 m.p.h., said Andreas Kääb, a professor of geosciences at the University of Oslo in Norway and lead author of the study. – Scientists say the driving factor in Tibet was climate change. – Warmer air caused by climate change — the region has warmed 0.4 degrees Celsius per decade since the 1960s — holds more moisture, leading to more winter snowfall. While many glaciers around the world are in retreat because warmer temperatures are melting them, the Tibetan glaciers that collapsed are among those that are growing because of more snow. – Perhaps the most visible sign of our broken water cycle is when rivers, diverted for agriculture, simply dry up. But here, too, innovative collaborations are getting rivers flowing again. In the Verde Valley of Arizona, conservationists and farmers have partnered to modernize nineteenth-century ditch systems, testing new approaches that enable irrigators to take only the water they need while leaving the rest for the river. In places, the Verde—a lifeline for birds and wildlife in the American Southwest—now has twice the summertime flow it had before. – In the Colorado River Basin, of which the Verde is a part, economic activity that generates some $25.6 billion a year depends on water staying in rivers rather than taking it out of them. – After experiencing two 100-year floods within six years, Copenhagen decided that instead of upgrading its drainage pipes and other “gray” infrastructure, it would strategically expand and redesign parks and other public spaces to capture and store more rainwater. Overall, the city’s $1.3 billion investment in such “green infrastructure” is estimated to cost half as much as a more conventional gray-infrastructure approach, while beautifying the city. – The world’s soils can hold eight times more water than all rivers combined, yet agricultural practices deplete soils, causing that critical water reservoir to shrink. But this can be fixed by rebuilding soil health. By eliminating tillage and planting cover crops, farmers can build the soil’s carbon content and enable it to store more water. Even a one percentage-point increase in soil organic carbon can increase water-holding capacity by some 18,000 gallons per acre. Yet farmers plant cover crops on less than 3% of US farmland and practice conservation agriculture on only about seven percent of cropland worldwide. WEF Green Ranking 2017 177/180; India at the bottom in green ranking This is really shameful? But Indian govt and ruling party is unlikely to see it that way. – India ranked 141 in previous survey in 2016. – Since 2016, the no of categories have gone up to ten from nine and number of indicators to 20 from 24. – The biennial survey is done by Yale and Columbia universities for WEF. – India is better than only three countries: Burundi, Bangladesh and Congo. Even Pakistan, Nepal (176) and China (120) are better than India.